This new research builds on stacks of past research that says spanking is not only non-useful, but harmful for children. 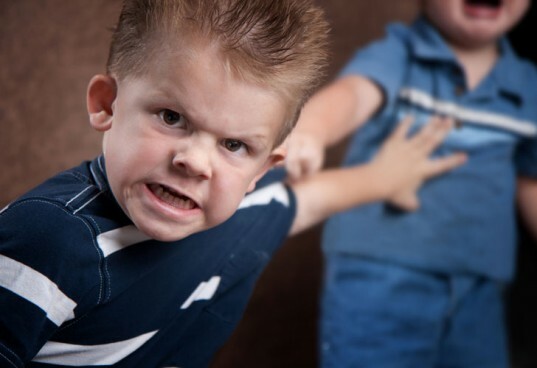 Physical punishment has been linked to lower IQ, acting out and aggression, antisocial behavior and more. In fact, few organizations recommend spanking anymore. The American Academy of Pediatrics (AAP), for example, “Strongly opposes striking a child for any reason.” AAP goes on to say that if you lose it and spontaneously hit a child, you should later explain calmly why you did it and apologize to your child for your loss of control. The CDC, among other health organizations, notes that physical family violence (pdf) can lead to health and behavior problems. Still, on the flip-side, many parents believe spanking is just fine and even some researchers say spanking is good, resulting in more successful adults. 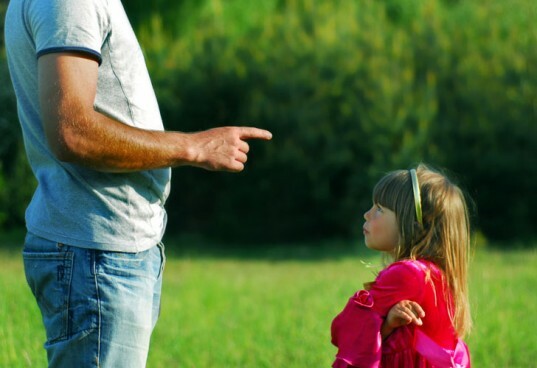 New research or not, the debate to spank (or not) will likely rage on as some surveys show that at least half of parents, but maybe as many as 94%, consider hitting a child an appropriate form of discipline. I think spanking is hitting. Dress the term up if you like, but to me a hit is a hit is a hit, no matter if you call it “spanking” or not. I don’t think it’s okay (barring a zombie apocalypse or other self defense issue) to hit anyone. Can you imagine a world where this is how we solve all our problems? Don’t like what your partner says, hate a decision your boss makes, grandma making you angry? Well, hit them. That’ll show em. Personally, I like to imagine a smarter, more rational world with the ability to talk issues out and maintain some control. I don’t want to be hit so why would I hit my child? If my partner got mad at me and hit me, or my best friend slapped me, how long do you think we’d all be buddies. NOT LONG. If being hit will devalue me and make me feel abused, how will it make my son feel? If I hit another adult I could literally be arrested for assault and/or battery, yet I can hit my child so long as I call it spanking. What sort of messed up logic is this? The law shows is that it’s okay to hit people, so long as they’re smaller, more defenseless and younger than you are. Hitting is how bullies solve problems. I don’t want to be a bully. I fail to see how hitting a child teaches them anything useful. It does teach them that when people do something they don’t like they should hit them. Why on earth would I hit anyone I love – especially my own child? As a parent, I’m far from perfect. I think we’ve all done things we wish we hadn’t. But I know that I won’t have to ever wish I could take back spanking. I won’t hit my partner, my sister, my friend and I certainly will never hit my son. If you’re looking for a way to deal with your child’s behaviors that don’t involve hitting, here are 101 things you can do instead of yelling or spanking or read instead of spanking (pdf). I find this very hard to believe. Discipline is what we all grew up with and we turned out not expecting everyone to just give us what we want. There is a line between discipline and abuses, but how else does anyone earn there are consequences, and yes sometimes they can hurt. No wonder we have teens murdering teens and an 8 year old shooting a 3 year old. I bet these children were NEVER disciplined. I'm sorry, to me this is BS.